*Disclosure: I was provided a free meal at The Morrie in exchange for this review. The opinions expressed here, however, are my own. I had been to The Morrie one other time before this dining experience, back in November for Royal Oak Restaurant Week, and that meal was great (as was the ginormous ice cream cookie sandwich I had for dessert). When I was invited back as a blogger for a meal last week, I didn't hesitate to say yes to the invitation. We started off with drinks - a few of the other bloggers ordered the Train in Vain-B. Side martini ($11), so I did as well. The martini included pear-infused Hendrick's gin, allspice-cardamom-vanilla simple (syrup, I believe), and peach-pear La Croix. I wasn't the biggest fan of it (I didn't realize until later it had gin in it, which isn't my fave) but it started to grow on me after a few sips. 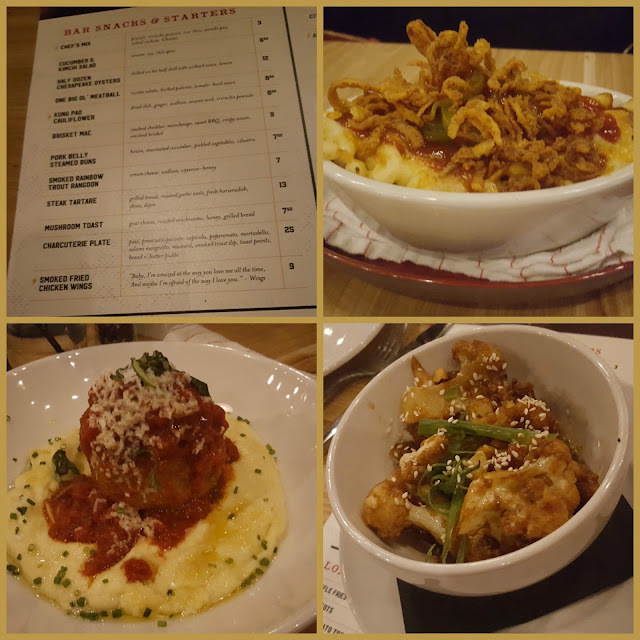 After that, we split a few appetizers, including the "One Big Ol' Meatball" ($8.50), which consisted of a HUGE meatball surrounded by polenta and ricotta, and served in a tomato-basil sauce. We also tried the Brisket Mac (mac 'n cheese, $9), which I loved even though I usually don't like mac 'n cheese; this was big enough for a (small) meal, as well. To top off our appetizers, we had the Kung Pao cauliflower ($8.50), which was my favorite of the three - I don't like spicy food, but it only had a slight spice, and it was delicious; I wish I could have had more of it (but there were eight of us to feed). 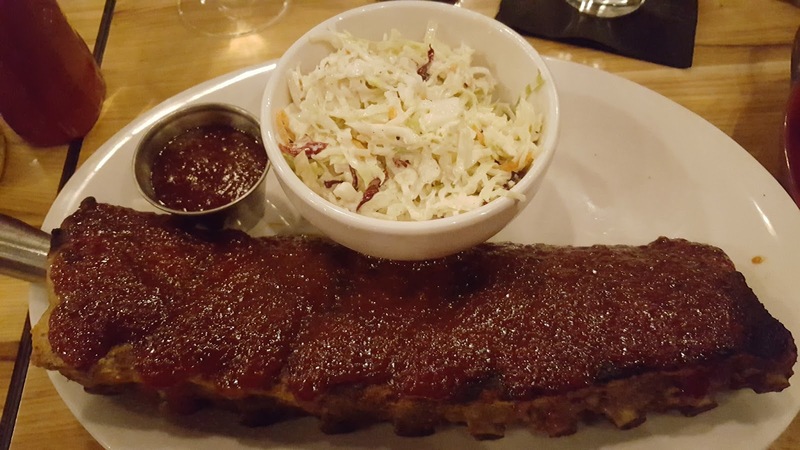 The Morrie makes its own bread in-house, daily, so I was tempted to choose a sandwich from the menu, but I decided to "go big" and order the rack of ribs ($22), which comes with coleslaw as well. 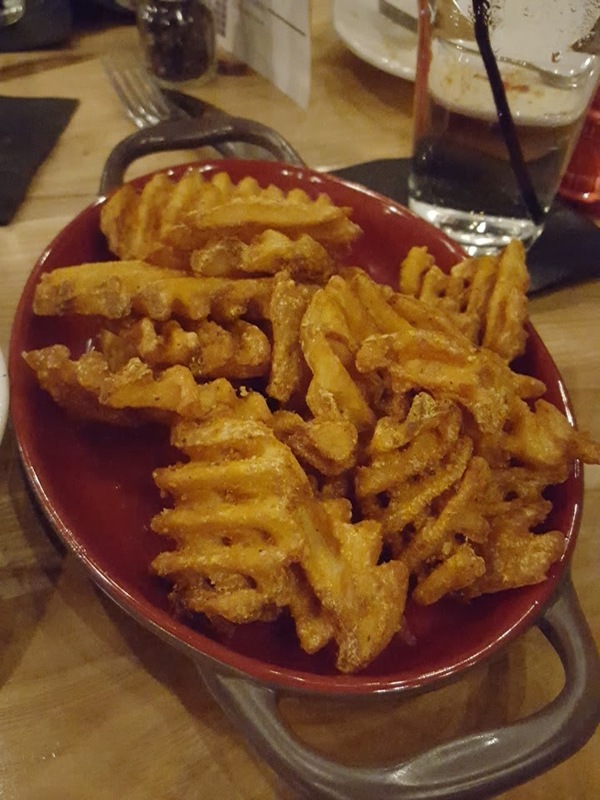 You can add fries a la carte, and I ordered the waffle fries ($4), which tasted like curly fries - so good! The BBQ sauce on the ribs was excellent, and I even liked the coleslaw, even though normally I'm not a fan. 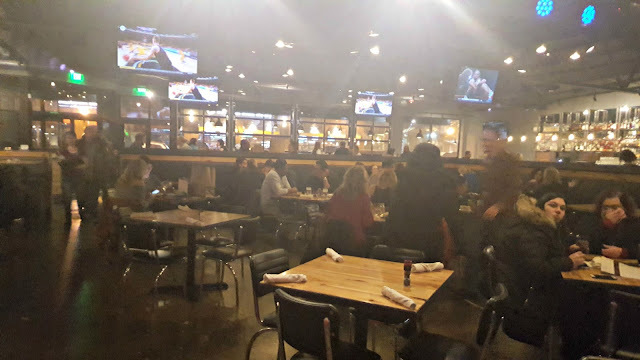 The fries were great too, and if you get a sandwich, it's only $2 more to add french fries or waffle fries ($3 more for tater tots or sweet potato tots). I brought half my rack of ribs home and half the fries home for lunch the next day, and it still reheated nicely in the microwave, too. 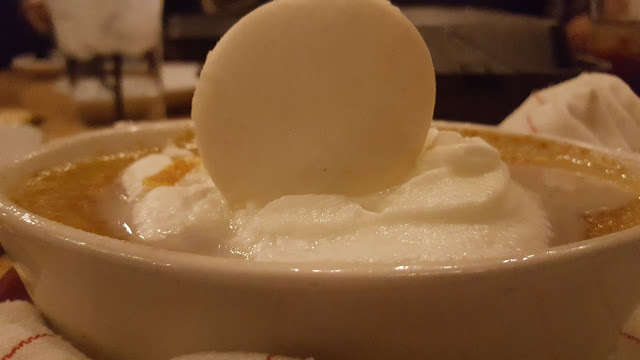 The Morrie's dessert menu is ridiculous in the best way possible (see my Instagram photo from above ...) and this time I ordered the butterscotch creme brulee ($9), which I shared with a fellow blogger. It consists of a Nutella macaron on top (unexpected, and delicious! ), sour cream chantilly, and candied orange. A few other bloggers ordered the decadent "caramelized colossal banana split" ($13.50), too, which could have served 4-6 people - I had a bite of that as well and that was (unsurprisingly) also very tasty. 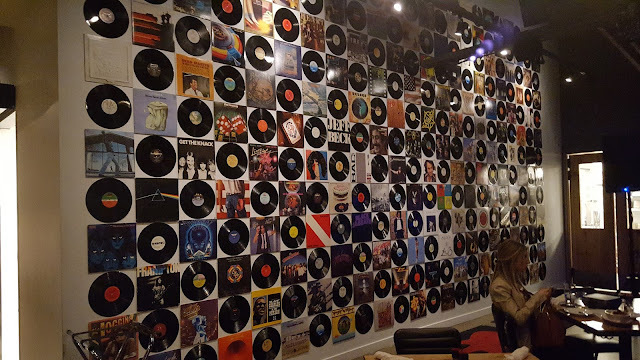 The Morrie's theme can only be described as "rock 'n roll," and to wit, it serves its menus in album covers, and has an entire wall (see above) devoted to albums. 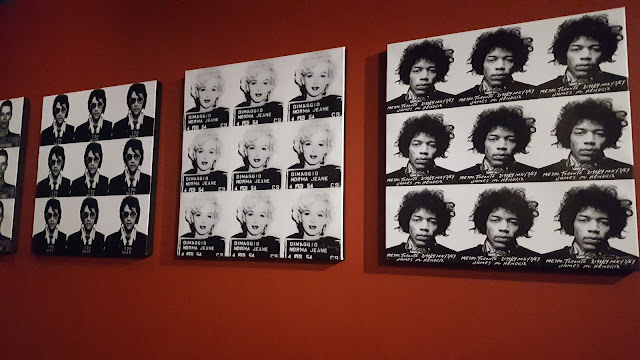 There is some other fun music decor all around the restaurant, as well. 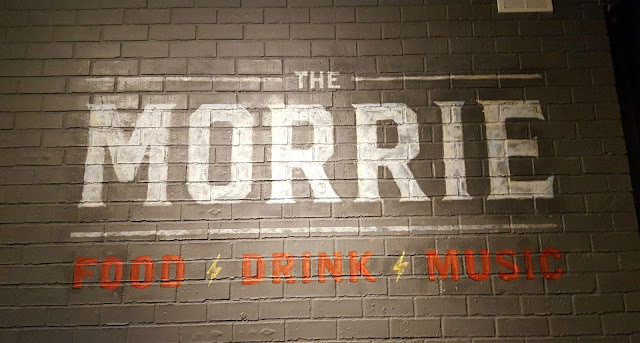 I plan on checking out The Morrie's happy hour, too, and they even have it from 12-5pm on Saturday and Sunday - you can check out their HH menu here on their Facebook page. HH hours are Monday through Friday, 4-6pm, in addition to the Saturday/Sunday hours. The Morrie offers a parking lot next door, for $5 (cash-only, I believe), or you can park in one of the surrounding city parking garages or at a parking meter - I parked one street over at a meter. 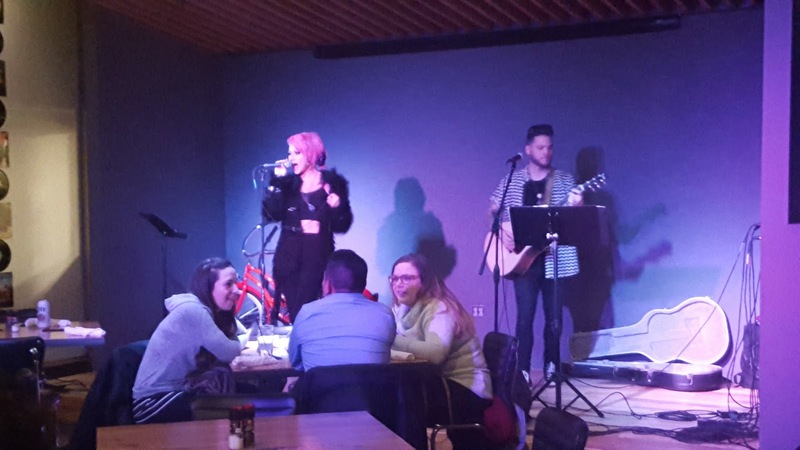 The restaurant also has live music on certain days! There were two singers there when we were there for dinner. 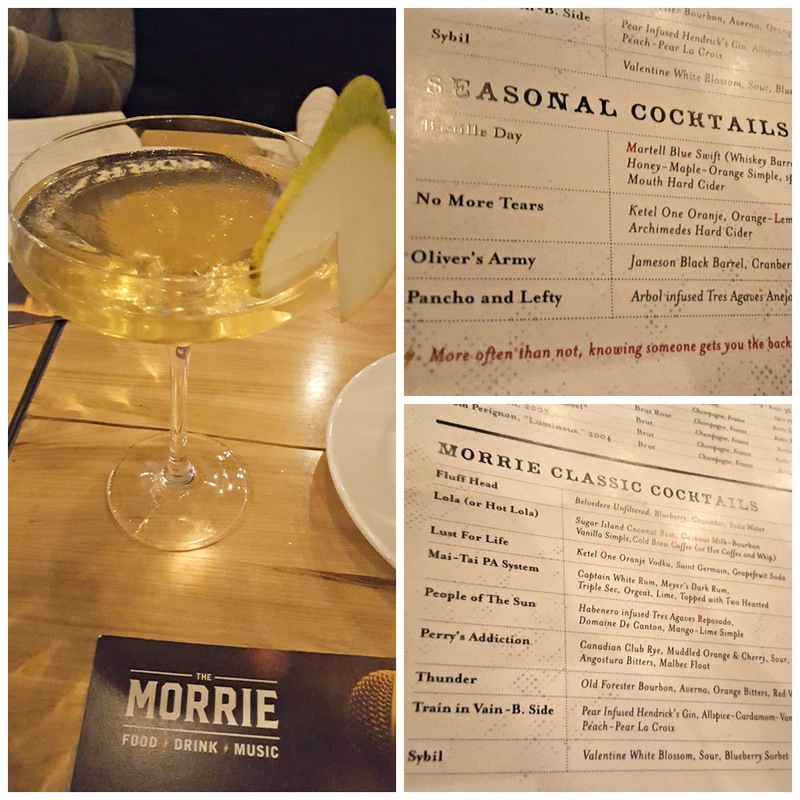 What dish or appetizer would you try at The Morrie? Click here to see the full menu. The Morrie is located at 511 S. Main St, Royal Oak, MI, and can be reached at (248) 216-1112. Its hours are 4-10pm, Mon.-Wed.; 4-11pm on Thurs. ; 4pm to 2am on Fri.; 12pm to 2am on Sat. ; and 10am to 9pm on Sunday. Enter via the widget below. Winner must be live within driving distance of The Morrie (Royal Oak, MI).